When business employees work on off-site projects or work on temporary assignments or attending meetings, then reaching them is a challenge. The traditional solution of using two-way radios has vanished, but the latest wireless PBX system can be opted. The main aim of wireless technology is to equip employees with wireless handset and make them productive in the same way they would be, if they were at their office desk. Employees stay connected with suppliers, customers, and colleague, all the time. It works just like standard PBX. The only difference is that calls are routed to wireless phones via Wi-Fi signal rather than desk phones. Thus, business owners can get in touch with their employees by dialing unique extension number. Extensions and voicemail is programmed just like in the conventional PBX system. Remember, features as well as benefits of desk and wireless phone are the same. Adjunct switch – This wall-mounted stand-alone unit manages the received and sent calls between base stations. 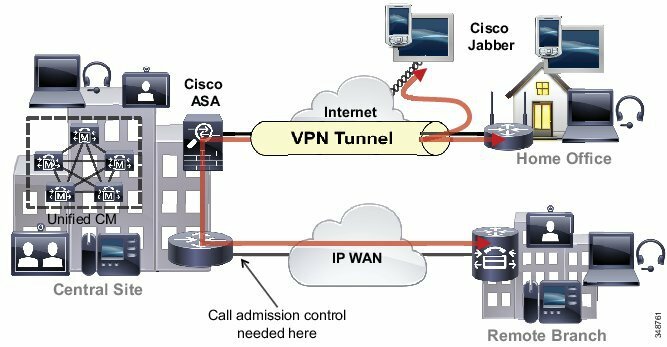 It can be connected to or collocated with PBX using optical fiber. Base station – Base stations are equipped with antenna and mounted typically, on the ceiling. It is linked to wireless PBX via twisted pair wiring. Calls between wireless phones and adjunct unit are sent and received via base stations. Users can move from one place to another, while communicating. The base station transfers the call to nearest base station having an idle channel. As soon as the nearest base station accepts the signal the former base station channel becomes free to handle another call. Telephone handset – Each handset is equipped with an exclusive ID number, which is programmed in the adjunct switch. This allows the portable phone users to access the business communication system. The employee’s desk phone and portable phone can have same number, so when there is a call both phones ring. A conversation can be started on one and switched to another conveniently. For example, if you have to go out then switch to your portable phone and move away easily, without any obstacle in communicating. Distribution hubs – For large installations, distribution hubs are used to expand and handle communications among base units located remotely (out in range of adjunct unit). Frequency bands – Wireless PBX operate in different frequency bands including unlicensed 1910 to 1930 MHz PCS band. Organizations desire to find ways for increasing productivity and efficiency in a cheap, fast, and better ways. Wireless PBX technology fulfills these demands.